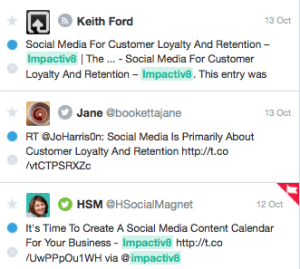 Do you feel like you are missing out on important mentions of your business online? Are you failing to respond to mentions of your business in a timely manner? I have recently discovered a tool that can assist you in overcoming these issues – it’s Mention.net. Mention is a media monitoring tool that allows you to create alerts on your name, your business, your competitors and/or your industry/niche. You can even import your current Google Alerts! Once you have set up the keywords or phrases and sources for your alerts, you can then choose to be informed whenever they are mentioned on social networks, news sites, forums, blogs or anywhere else on the web. You can also monitor in multiple languages! You can receive your alerts via your choice of either a daily or weekly email digest, as well as in real-time via push notifications within the mobile app, allowing you to react quickly and efficiently to those mentions most important to your business. 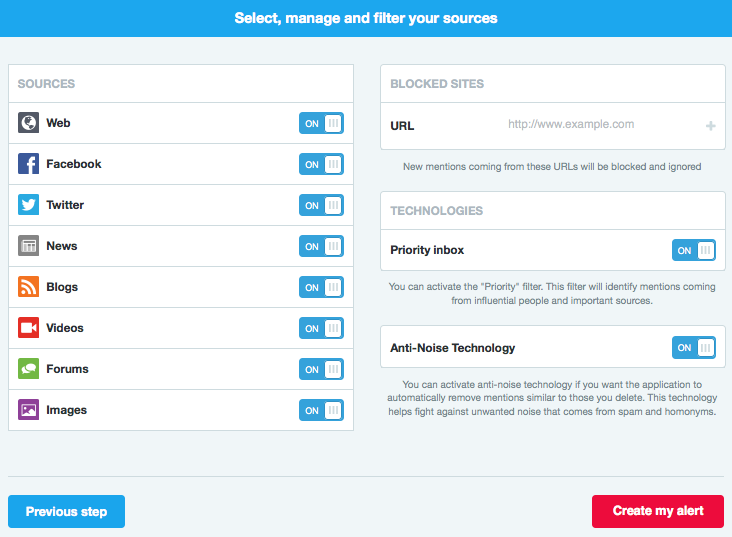 You can even connect your social accounts for Facebook and Twitter to your alerts so that you can react without even having to leaving the application. This monitoring tool enables you to receive real-time filtered, organised and prioritised information on-the-go, allowing you to access your mentions everywhere. Compatibility shouldn’t be an issue either, as there is a desktop version, webapp, Chrome app and mobile app (iPhone and Android). Mention has a range of plans available, making it a suitable tool for individual use, small businesses and enterprise collaborative solutions. Team Collaboration – Set up a team dashboard and share your alerts, assign tasks within your team and streamline your online communication, keeping tack of everyone’s actions. Reporting – Extract statistic and sentiment analysis reports via the powerful analytics tool that is built into the platform. Mention could prove a big time saver for your business, as it’s functionality includes the ability to re-tweet a mention, like or share positive mentions directly on your Facebook Page and send mentions via email, to name just a few of the many functions you can perform directly from within the platform. I would encourage you to take advantage of their 30 day free trial to try it out for yourself. I love that they have a no strings attached approach to business. You don’t need a credit card to sign up and your trial account will automatically revert to the Free plan after the initial trial period. 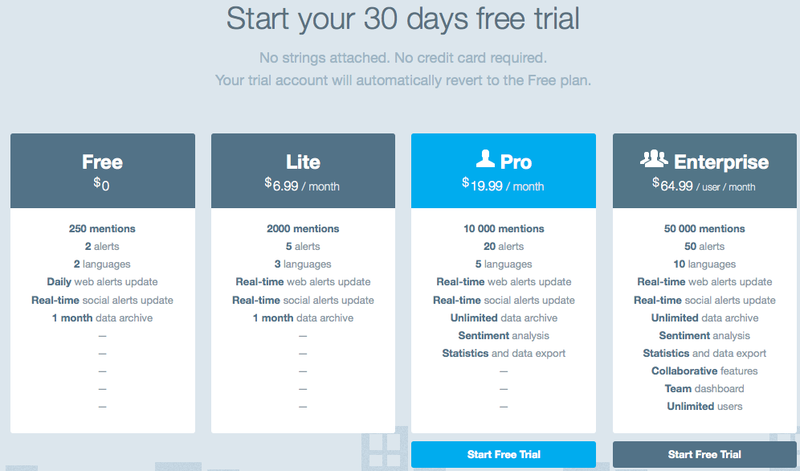 Have you tried Mention or another similar tool for your business? If so, please share your experiences in the comments below.